This is what I wore yesterday, I was hoping to post last night but I was otherwise engaged...I had a date with a burger! 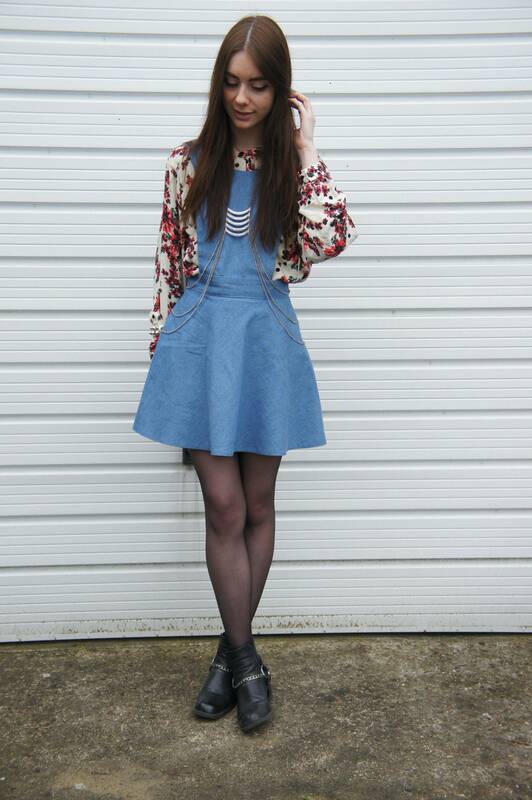 Daisy Street were kind enough to send me this denim pinafore dress, I'm so happy with it. It is £22.99 which is a fraction of the price of Pinafores in Topshop etc. I am really looking forward to wearing this in the summer with a bandeau! 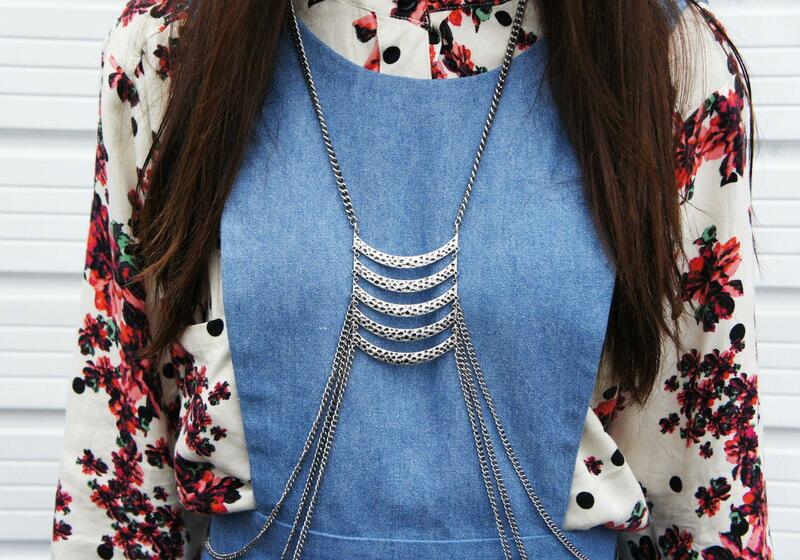 The body chain is from good ol' Primark, you can win one in my latest giveaway! The latest news in my life is that I have reached 5,000 words on my dissertation. Literally guys that is how exciting life is right now. Apologies for my lack of commenting and replies, I am so swamped I am hardly getting time to actually post anything at all! 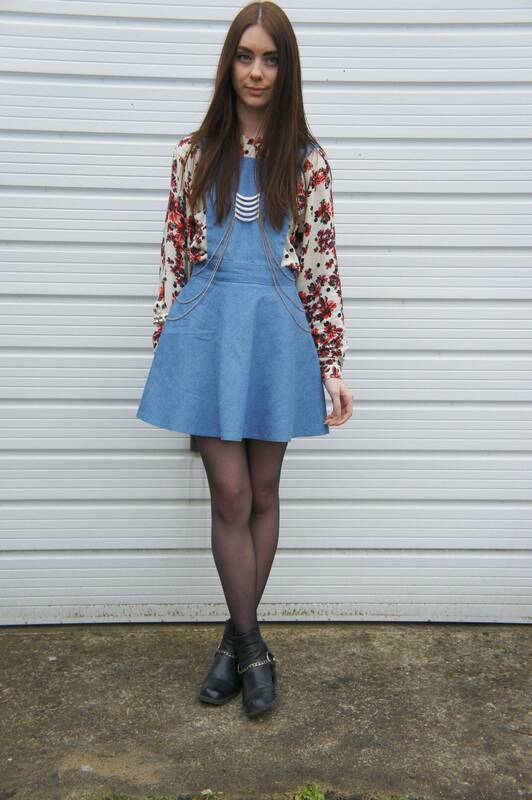 Really want to get my hands on a pinafore, they are so cute! 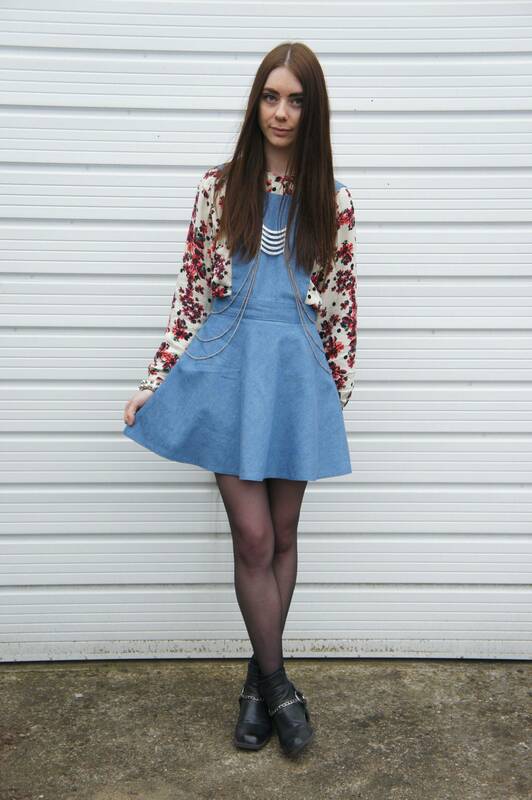 Love how you've styled this, I never would have thought to put a body chain over a pinafore, but you look awesome. 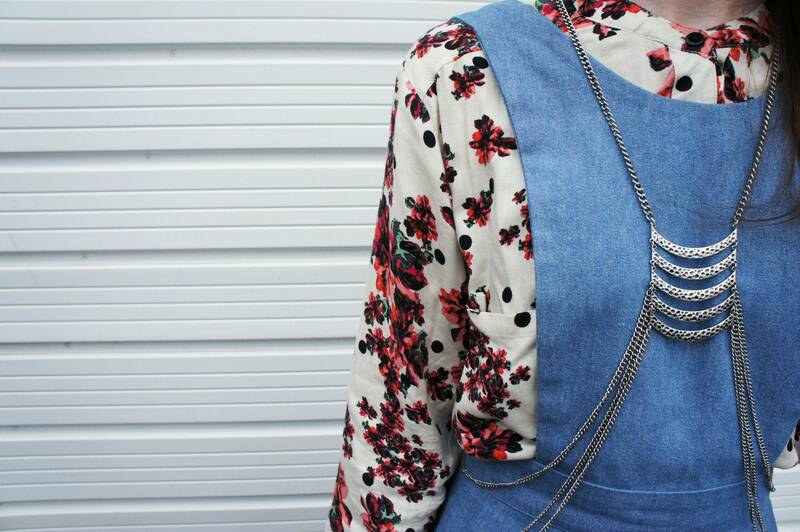 Love this pinafore dress especially with the body chain! Once again another lovely outfit post. love that body chain..i want one! I think youve just sold me the dress, it looks gorgeous! Such a good price for a pinafore! I have a plain black one but the denim looks really nice! Perrrrrrrrfect outfit Chelsea. I love that shirt! Be great if you could check out my latest NOTD post: Jessica GELeration in Venus Was Her Name by Nail And Beauty, Cheshire.